In many organizations, web apps—especially those with online mapping—are a key component in supporting business workflows. Web AppBuilder for ArcGIS supports both 2D and 3D data content and provides the same dynamic and interactive WYSIWYG user experience that requires no additional learning curve. 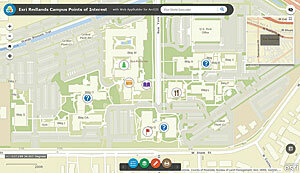 Web AppBuilder for ArcGIS is a fully integrated client application of the ArcGIS platform. It lets GIS managers, GIS analysts, and nondevelopers easily create and deploy new web apps with online mapping but it doesn't require programming. The apps can run on any device. Because Web AppBuilder for ArcGIS has an extensibility framework, the Developer Edition of Web AppBuilder for ArcGIS can be used by developers who save time because they don't have to start from scratch when building web apps with custom functionality. Web AppBuilder for ArcGIS is embedded in both ArcGIS Online and Portal for ArcGIS. It provides a simple and intuitive workflow for creating new web apps by specifying the app's look and feel, data content, and functionality. With many configuration options, it allows you to decide how simple or advanced you want your web apps to be. It supports many different application use cases. 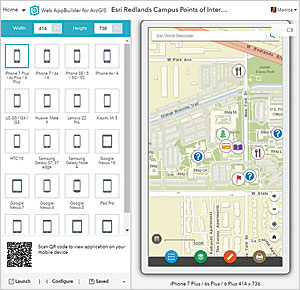 After signing in to ArcGIS Online and/or Portal for ArcGIS, you can begin creating new web apps by accessing Web AppBuilder for ArcGIS from the map viewer via the Share button or the My Content page by choosing Create > App from the drop-down menu. Although Web AppBuilder for ArcGIS Developer Edition is a separate stand-alone application that is installed on a local machine, its user experience is very similar to Web AppBuilder for ArcGIS in ArcGIS Online and Portal for ArcGIS. To use it, you sign in to either ArcGIS Online or Portal for ArcGIS to access web maps and other GIS resources such as basemaps and locator services. Here are just five of the many reasons you should use Web AppBuilder for ArcGIS. You get eight different themes—styled user interface layouts for your web app. You can easily switch between themes and customize color and tool button locations. 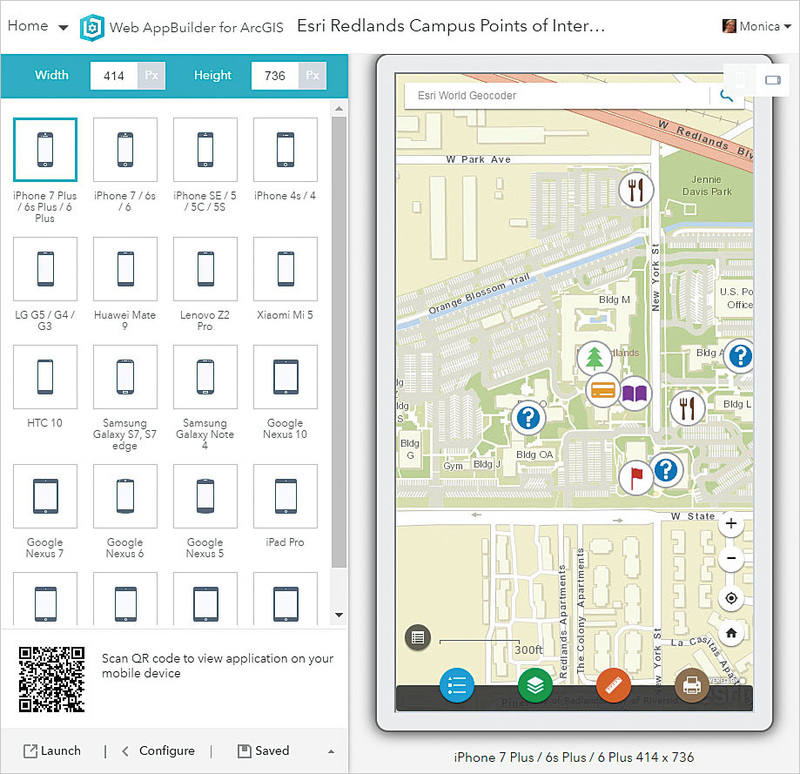 The interactive application building experience in Web AppBuilder for ArcGIS is a what you see is what you get (WYSIWYG) user experience. The interface is divided into two parts. The left side contains the configuration panels. The right side displays a live preview of how the web app will appear and behave. As you make configuration changes to the web app's properties, the preview immediately updates so you can see how your changes will appear in the app. This is very beneficial because you can experience what the end user will see as you configure and edit the app. The web app's look and feel are determined by the Theme and Attribute tabs. The data content is specified on the Map tab. The app's functionality is defined on the Widget tab. Because the workflow for configuring a new web app is nonlinear, you can set and modify the web app properties in any order you wish. Eight different themes—styled user interface layouts for your web app—are included. You can easily switch between them and customize their color and tool button locations. The Previews button displays how the web app will appear and behave on a smartphone or tablet. Even after an app has been deployed, you can open the app in the builder experience and make changes to it such as adding or removing a tool. This makes the process of creating and updating web apps very easy. Web AppBuilder for ArcGIS comes with many widgets that let you add functionality to your app instantly. New widgets are constantly being developed and shared through the Web AppBuilder for ArcGIS community. Web app configurations can also be exported from Web AppBuilder for ArcGIS as a template. For example, you apply your organization's corporate colors, logo, and branding to create a new web app and export it as a template. Enable it as a selectable template option in ArcGIS Online and Portal for ArcGIS so other users can select your web app configuration when they create a new web app. This promotes web apps for your organization that have the same branding and a consistent look and feel. Web AppBuilder for ArcGIS has a core framework but was designed to be modular. Most of its capabilities are enabled based on widgets. A widget is a self-contained code component that enables some functionality when added to a Web AppBuilder for ArcGIS app. Widgets that appear on the Widget configuration panel form part of the app's user interface. Other widgets are typically tool buttons in the app. In the builder experience, you enable new tools and capabilities in web apps by selecting widgets and adding them to the app. 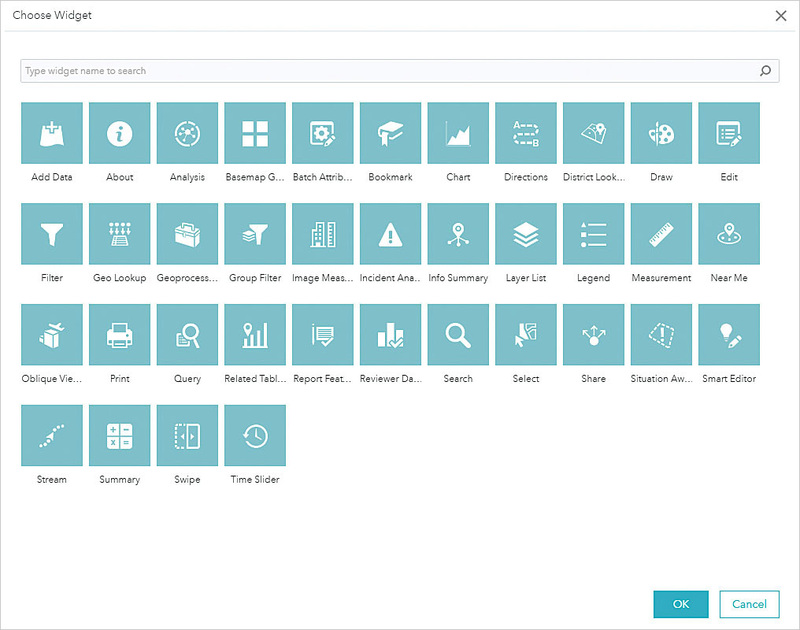 Web AppBuilder for ArcGIS includes more than 45 widgets that enable many of the core capabilities you need to create and build a GIS web app, such as Add Data, Draw, Edit, Filter, Geoprocessing, Legend, Overview Map, Print, Query, Search, and Select. Since the builder user experience is dynamic and interactive, you can add a new widget, configure it, then observe how it behaves in the web app. Widgets can be added or removed at any time, so you can adjust your web app as needed. New widgets are continually being developed by both Esri and the Web AppBuilder for ArcGIS user community. Applying themes and adding widgets customizes your app and lets you build an app that suits your needs. Web AppBuilder for ArcGIS supports both 2D and 3D data content. It enables you to create new custom web apps for both easily. 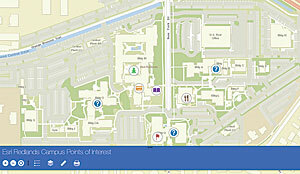 Web maps are the foundation for 2D enabled web apps. Web scenes are the starting point for 3D web apps. Web AppBuilder for ArcGIS provides the same dynamic and interactive WYSIWYG user experience for both types of data. Creating web apps that help you visualize and display your 3D content requires no additional learning curve. With each release of Web AppBuilder for ArcGIS, the library of widgets specifically designed to support 3D content grows. Users of Esri technology meet on GeoNet to discuss ideas and problems and collaborate on solutions. Three discussion forums on GeoNet are dedicated to Web AppBuilder for ArcGIS: Web AppBuilder for ArcGIS (the general forum), Web AppBuilder Custom Widgets, and Web AppBuilder Custom Themes. All three are very active. Many members contribute content and help on a regular basis. In the Content section of the Web AppBuilder Custom Widgets forum, more than 30 custom widgets have been posted and shared by the user community. These widgets provide additional capabilities that may not be available in the core widgets and can be leveraged using Web AppBuilder for ArcGIS Developer Edition. In addition, some Esri Solutions teams and Esri partners have developed custom widgets to enable new functionality in the Developer Edition. Based on interest and usage, some of these custom widgets have been integrated into the core Web AppBuilder for ArcGIS product. 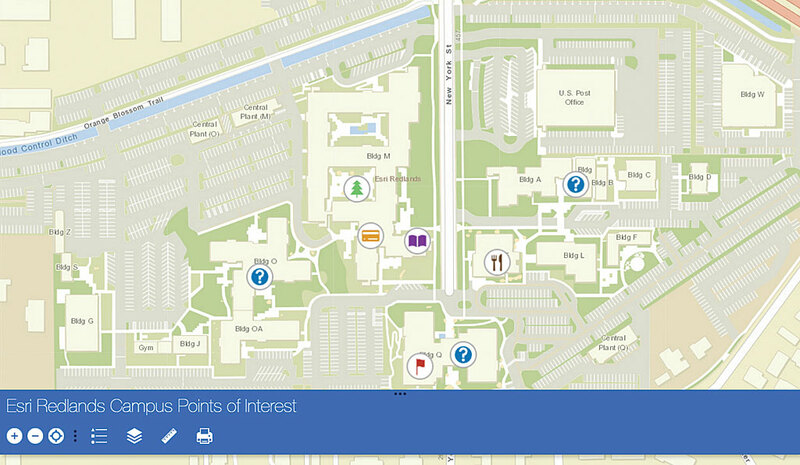 Themes change the placement of tools, use of color, and include features such as an overview map. 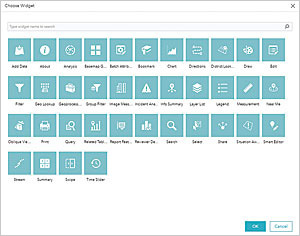 Web AppBuilder for ArcGIS was designed to be modular, so custom widgets and themes can be easily added or removed in the Developer Edition and previewed through the builder experience. This means that using the Developer Edition, GIS managers, GIS analysts, and nondevelopers can work with the custom functionality in the familiar builder experience, and developers can test and prototype custom widgets and themes. The Previews button lets you see how your app will look in the viewport of various devices. Web AppBuilder for ArcGIS is a great solution for organizations that need to quickly create and deploy new custom web apps with minimal effort. It is a Swiss Army knife solution that you can use to create custom web apps for a variety of uses, but it does not require in-house developer resources. You can view live production sites of some of the many customers who have already deployed custom web apps using Web AppBuilder for ArcGIS at the Web AppBuilder for ArcGIS Live Sites Showcase. These free resources will help you learn more about Web AppBuilder for ArcGIS. The ArcWatch article, "Configure Web AppBuilder for ArcGIS Developer Edition to Work with Your ArcGIS Online Organization"